Almost ten years ago, I started cutting my husband’s hair to save money. Haircuts can be expensive, so this is a way to save money that can really add up over months and years. 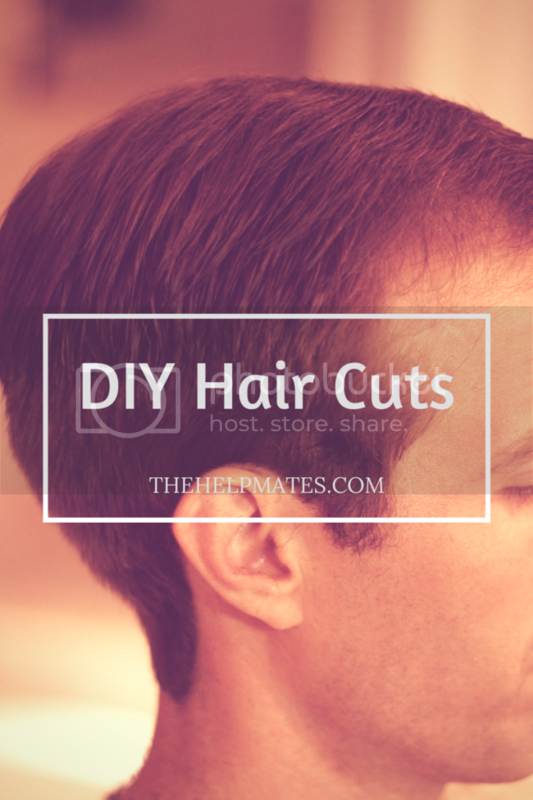 Since men’s hairstyles vary quite a lot, rather than give a detailed tutorial on how I cut my man’s hair, I want to share some resources that can help you learn how to cut hair for the man in your life. Basic supplies include a set of hair clippers, a fine-toothed comb, and a pair of nice hair scissors. As far as clippers go, Wahl brand clippers tend to be well-built, long lasting, and they have some that are fairly inexpensive, like these. Scissors can be bought for under $10. 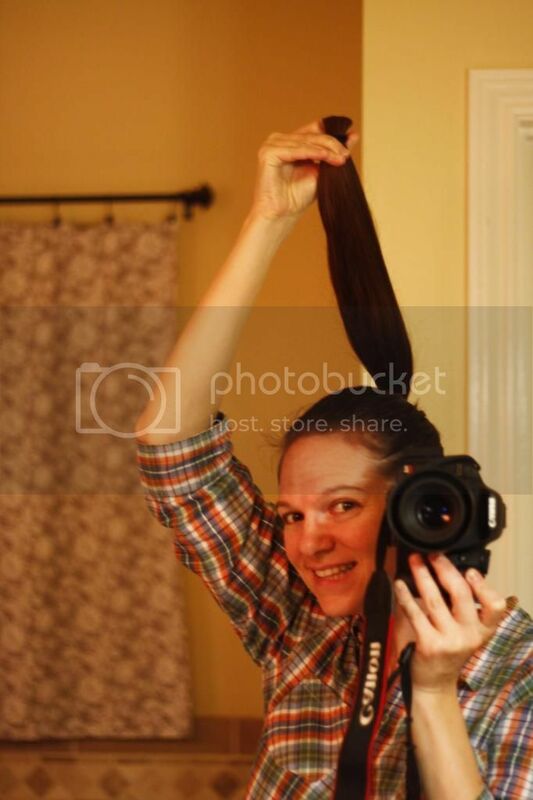 I will say that I do a lot of scissor work on my husband’s hair, and I’ve used a variety of scissors – if you plan on doing more than just trimming the perimeter with scissors, I’d recommend something along the line of a $30 pair because the quality can make all the difference. All of these supplies can be bought online or at your local beauty supply store (like Sally Beauty). The first time you cut hair, a simple approach like this one is a good choice since it uses clippers for all the layers. This is what I did the first few times – a #8 (1 inch) for the top, tapering to a #4 (1/2 inch) for the back. 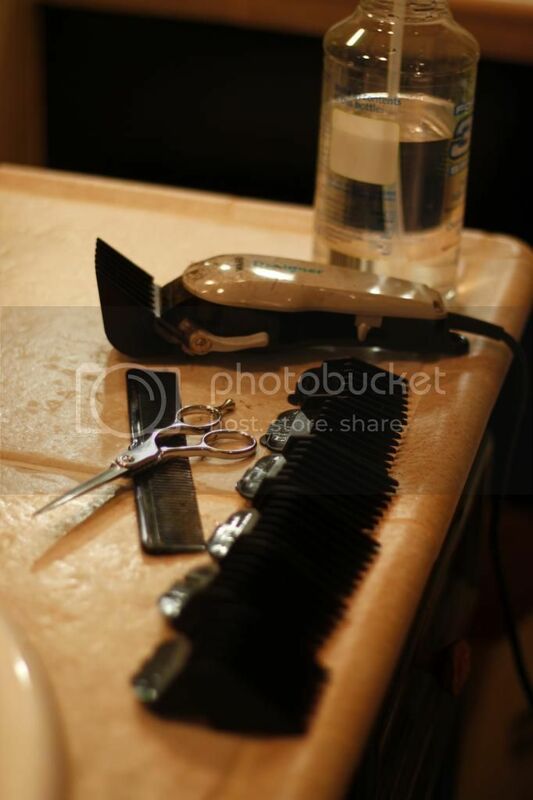 This is simple, quick, and yields good results because the clipper guards do all the hard work for you. If you want other choices, you can browse the internet and find lots of tutorials for men’s haircuts until you find one that matches your husband’s style. Here are some other ideas with instructions on which clipper guard to use. I use the clipper guards for the lower half of my husband’s hair and then I scissor cut the top and fade it into the clipper trimmed area. In the past few years, I’ve also started cutting my own hair, or having my husband do it for me. I use this DIY guide and after trying a few, I like the #2 ponytail cut. If you have shorter hair, you could consider doing a shlob style. Before you know it, you could have family haircut day each month like we do.